Mary and her husband Jim had a dog named Lucky. Lucky was a real character. Whenever Mary and Jim had company come for a weekend visit they would warn their friends to not leave their luggage open because Lucky would help himself to whatever struck his fancy. Inevitably, someone would forget and something would come up missing. It happened that Mary found out she had breast cancer. Something told her she was going to die of this disease….in fact; she was just sure it was fatal. She scheduled the double mastectomy, fear riding her shoulders. The night before she was to go to the hospital she cuddled with Lucky. A thought struck her…what would happen to Lucky? 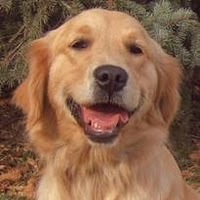 Although the three-year-old dog liked Jim, he was Mary’s dog through and through. If I die, Lucky will be abandoned, Mary thought. He won’t understand that I didn’t want to leave him! The thought made her sadder than thinking of her own death. Finally the day came for Mary to leave the hospital. When she arrived home, Mary was so exhausted she couldn’t even make it up the steps to her bedroom. Jim made his wife comfortable on the couch and left her to nap. Lucky stood watching Mary but he didn’t come to her when she called. It made Mary sad but sleep soon overcame her and she dozed. When Mary woke for a second she couldn’t understand what was wrong. She couldn’t move her head and her body felt heavy and hot. But panic soon gave way to laughter when Mary realized the problem. She was covered, literally blanketed, with every treasure Lucky owned! It’s been 12 years now and Mary is still cancer-free. She was a young, homeless single mom trying to raise a family of five, but true to the spirit of the season there was room for one more. Esperanza had been badly injured when she was hit by a car, but the young shepherd-cross with the thick white coat was still managing to care for her newborn puppies — and a kitten — when she was found on a central Alberta reserve. Criss Gerwing, who runs a small animal rescue group, discovered the dog earlier this month and couldn’t believe it when the canine led her to her blended brood. “I cried because she was in such bad condition with her leg, but she was obviously nursing her puppies and this kitten,” Gerwing told a media outlet. Gerwing took the entire family to the Edmonton Humane Society, where veterinarians thought they’d have to amputate the mother dog’s bad leg. But local vet, Dr. Milton Ness, volunteered to do a special surgery that saved Esperanza’s hind quarter. He calls her a “special soul.” Shawna Randolph at the humane society couldn’t agree more. “She is such a sweet, sweet dog. She has such a wonderful personality,” Randoph said. Jacob the cat was already four months old and shouldn’t have been nursing at all, so humane society vets weaned him and he’s now being cared for by a staff member. 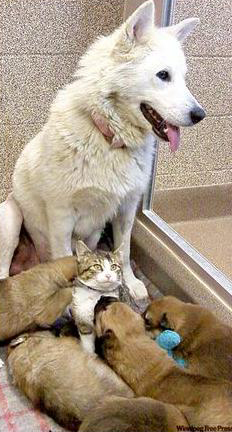 But he’s brought to the shelter every day to visit his adoptive mom and her babies. His canine step-siblings are too young to pay much attention to him — their eyes are barely open — but Esperanza is always excited to see Jacob and gives him lots of baths. Esperanza’s background is a mystery. No one has come forward to claim her, yet she’s well socialized. She’s only about one, but has had a definite taste of freedom — she loves to be outside and run around. It’s not clear how long she may have been on her own or when Jacob came onto the scene and turned on his feline charm. The devoted mother is recovering well. She and her pups will go into foster care after the holidays until permanent homes can be found for them. But the humane society ideally would like Esperanza and Jacob to be adopted together. Randolph said their story is especially heart-warming at this time of year. And Esperanza’s name bodes well for her and her furry family’s future — it means “hope” in Spanish. A Better Life Dog Rescue is a group of volunteer animal lovers who help homeless neglected and abused dogs find caring, responsible homes. With the invaluable assistance of their foster homes they have rescued and rehomed over 600 dogs. Many of their dogs are found as strays or abandoned at vets, kennels, rental properties and drug houses. Many were due to be euthanized at kill shelters. Others are surrendered to them by families no longer able to care for them. All their dogs are provided with veterinary care, spayed or neutered, vaccinated, tattooed or microchipped and provided with training where necessary. They are then adopted into suitable loving homes, giving them a second chance at a better life. At A Better Life Dog Rescue, they believe every dog deserves to be treated as a cherished member of the family. Dogs are pack animals and suffer greatly by being chained, penned or otherwise excluded from their family, even for short periods of time. 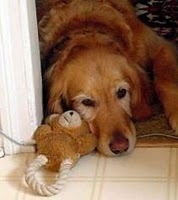 Being included inside the home is essential for a dog”s emotional and physical health. It is just as cruel to starve a dog of their emotional needs as it is to starve them of food and water. Their adoptive homes must meet their very high standards of compassion and commitment to their new family member. A Better Life Dog Rescue depends on the generous support of caring and compassionate people to continue their mission of rescuing and rehoming neglected and abused dogs. As they have no paid staff and no overhead costs, every penny donated to them goes directly to the health and welfare of their dogs. A Better Life Dog Rescue is a federally registered charity and tax receipts are issued for all donations they receive. Rescue dogs coming from California to British Columbia Canada who have kennel cough respond better to Doxycyline than Baytril.